Creating a resume can be challenging when you start thinking about all the information you need to share with prospective employers. Your employment history, educational background, skills, and qualifications need to be presented in a way that will help you get picked for a job interview. Rather than a simple list of the jobs you have held, it’s important to include information specific to the positions for which you're applying. What’s the easiest way to write a resume? If you look at resume building as a step-by-step process, it will be easier to do and much less overwhelming. Once you’ve created your first resume or refreshed your old one, you can simply tweak it to match it up with a job when you’re applying for an open position. Read on for how to build a resume, the components required in an interview-winning resume, examples of what to include in each section, how to format your resume, options for saving your document, and tips for writing a resume that will catch the attention of hiring managers. Before you start to work on your resume, you’ll need a word processor. If you don’t have word processing software installed on your computer, here are free online word processors you can use. One of the benefits of working online is that you can update, send, and share your resume from any computer or device you’re using. That makes the application process much simpler because you’ll be able to easily apply for jobs from anywhere that’s convenient for you. Next, consider the basic framework of your resume. More isn’t necessarily better, so aim for conciseness over length. Employers are looking for a synopsis of your credentials, not everything you have done in your career. In many cases, a one-page resume is sufficient. If you have extensive experience, longer may be necessary. In general, shorter is better, with a few bullet points for each job, brief sentences, descriptions that are action and accomplishment oriented, and plenty of white space on the page. Your goal is to wow the hiring manager and present a document that promotes you as an ideal candidate for the position. Review these tips for building a resume that will help you get job interviews. When you have compiled all the information you need, it should be listed in the following order. Don’t worry about fonts and formatting your document yet. Once you have everything down on paper, you will be able to adjust the font size and type, spacing, and add formatting options to your resume. Adding a profile or an objective to your resume gives the employer a brief overview of your qualifications. This is an optional component of a resume. If you include it, focus on what prospective employers are seeking rather than what you want in your next job. Hiring managers want to know what you have to offer. A summary of qualifications is another optional section of a resume. It’s a statement that includes your skills, abilities, experience, and what qualifies you for the position. Your work history is the most important component of your resume. Employers will want know where you have worked, when you worked there, and what responsibilities you held in each role you have had. They will be looking to see how your experience lines up with what they are looking for in prospective employees. List the jobs and internships you have held in reverse chronological order, with the most recent positions first. For each position, include: job title, company, location, dates of employment, and a bulleted list of the strongest accomplishments for each job. Verb tense should be present tense for your current job if you are employed, and past tense for prior employment. If you’re not sure of employment dates, here’s how to recreate your employment history. It’s important to be accurate because employers do conduct background checks. If you have volunteer experience that’s related to the jobs you’re applying for, or if you have volunteered to avoid an employment gap, list volunteering as you would the jobs you have held. Review these tips for including volunteer work on your resume. The education section generally comes next. You need only to list degrees earned, with the highest first, when you have been out of school for a few years. If you’re a student or recent graduate, the education section of your resume can be listed above your employment history. If you have work experience, list it below that section. Education should be listed in reverse chronological order, with the most recent and advanced education first. Include the name of the school, the degree earned, and the date you graduated. Whether you include your GPA on your resume depends on how long ago you graduated and how high your GPA is. Here’s when to list your GPA on your resume. The next section of your resume includes any certifications you have. Don’t be shy about mentioning awards and achievements you have earned. They show the employer that you are a well-credentialed candidate who has been recognized for your accomplishments. This section of a resume includes the skills you have that are directly related to the job for which you’re applying. Employers typically list required or preferred skills in job listings when itemizing the qualifications for the position. List your most closely related abilities here, using a bulleted list format. If you have personal interests that are strongly related to the position you’re applying for, list them here. This can be helpful if you’re applying for jobs where you don’t have a lot of related work experience, but you do have expertise achieved in other ways. 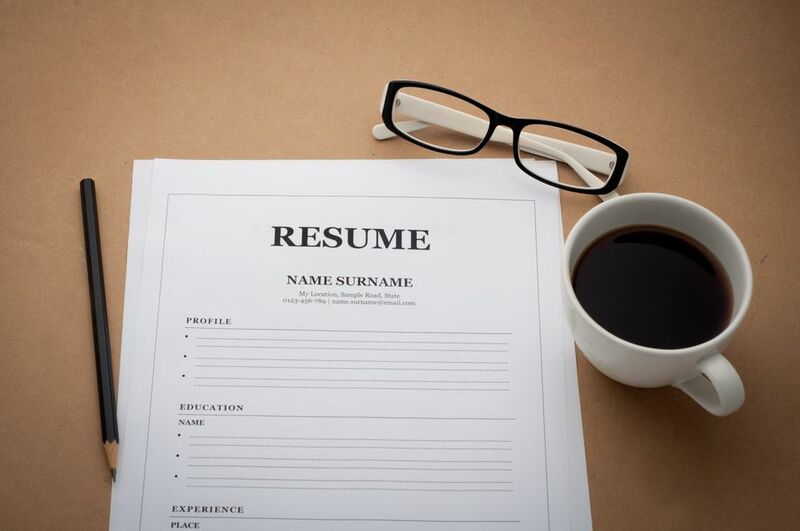 There are three basic types of resume formats you can use. The format you select will depend on your employment history and credentials. Chronological: This is the most frequently used and presents your work history starting with the most recent job first. Functional: If you have a spotty work history, you may want to use a functional resume that focuses on your skills and experience. Combination: This resume layout includes both your skills and your chronological work history. The chronological format is the most common one. If you choose a functional or combination resume, tailor the information you include accordingly. With a functional resume, you’ll highlight your job qualifications. With a combination resume, your skills will be listed first, followed by your employment history. When you’re choosing fonts for your resume, simple works best. The exception to that rule will be if you’re applying for a design-related position where your resume can showcase your design skills. A basic font like Arial, Calibri, Times New Roman, or Verdana is a good choice because your resume needs to be easy for a hiring manager to read. Consistency is important. Use the same font throughout your resume and in your cover letter. The font style and size can vary. For example, you can use a larger font for your name and section headings. Use bold and italics to highlight the details of your education and employment history. A job description that includes a bulleted list of achievements is easier to read than a paragraph. Each sentence should provide a brief synopsis of your strongest accomplishments in the position. In the following example, the applicant’s name and the heading of each component of the resume are a larger font and bold. The job responsibilities are listed, and italics are used to highlight details of employment and education, and differentiate the candidate’s computer skills. Oversee the design, development, maintenance, and management of Ambleside proprietary databases. Design and manage corporate financial, networking, and operations databases. Test databases and software programs, correct errors, and make modifications and updates. Perform regular database and software life-cycle maintenance to ensure the highest level of system performance and compliance with business requirements. Implement major database and software upgrades with 0 percent downtime. Ensure integrity, security, and availability compliance and scalability. Organize, format, and manage data for efficient query and storage processes. Select a file name for your resume that includes your own name when saving your resume: janeapplicantresume.doc, for example. Be prepared to save it in a variety of formats, like Microsoft Word, Google Docs, or PDF, for example, so that you can respond to employer requests for a specific type of document. Before your resume is finalized, it’s important to carefully proofread it. Then print a copy to make sure what’s on the printed page lines up with what’s on your computer. Once it’s set, print extra copies to bring to interviews with you. If you don’t have a printer you can use, check with your local library or an office supply store to see if you can access a printer there. Even though your resume is done, there’s one more quick step that will help your resume get selected by the applicant tracking systems that companies use to screen resumes and the hiring managers who read the applications that are selected. Incorporate the qualifications from the job listing into your resume job descriptions, skills, summary, and objective or profile. It only takes a few minutes, but using the same words and terms the employer uses will help ensure you’re a strong match for the job.